← Why choose a Virtual Office? 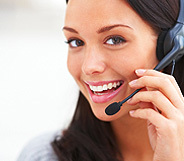 Posted on September 20, 2012, in Uncategorized and tagged Professional business calls, Professional Phone Services, Small Business, SME, Telephone Answering Ireland, Telephone Answering Service, Tips for answering your business calls professionally, Virtual Offices, Virtual Offices Ireland, winning customers. Bookmark the permalink. Leave a comment.